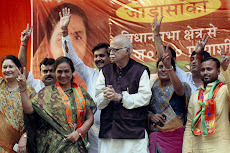 Basanti , 31 May : A group of angry villagers today tried to gherao West Bengal Chief Minister Buddhadeb Bhattacharjee here alleging that the relief provided by the state government to cyclone Aila affected people in South 24 Parganas district was not adequate. "Why have you come so late. 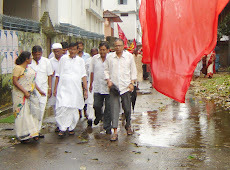 Why no relief has been sent by the government till now to the affected people in South 24 Parganas district when the cyclone hit the district on Monday," villagers asked the chief minister and tried to gherao him when he visited the BDO office accompanied by Irrigation Minister Subhas Naskar to take stock of the situation. 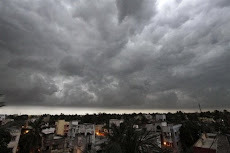 Malda, 31 May : At least five people, including a girl, were killed and two others injured when lightning struck them in different areas of Malda district. Santana Das, 8, had ventured out of her house to pluck mangoes when lightning killed her, police said.Bablu Mandal, 30, Md Shakid, 30, Jalekh, 35, and Sunil Ghosh, 32, are also among the dead. 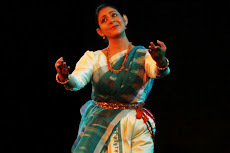 The incidents happened in Harishchandrapur, Ratua and Manik Chowk and Sadar areas of the district. Two others, have been hospitalised in separate cases, police said while adding that the bodies would be sent for post-mortem tomorrow. 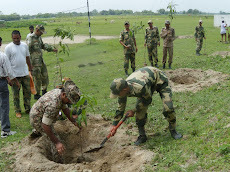 Dhaka, 31 May : Bangladesh Prime Minister Sheikh Hasina today called upon all to join a three-month long tree plantation movement by planting at least three saplings in the next three months. She also urged the people to make the country green planting more trees aiming to protect the country and its people. 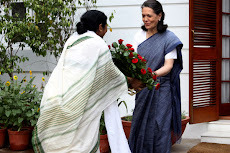 The PM's request came while she was inaugurating the three-month long tree plantation movement at Bangladesh-China Friendship Conference Centre. 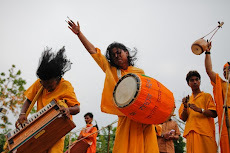 "We have to protect the forest, where industrialisation and urbanisation take place. 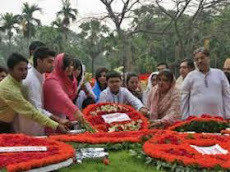 If each and every people plant at least three saplings one of fruit, one of timber and other of medicinal species the ecological balance and bio-diversity will be protected," Hasina told the audience. Prime minister also awarded 16 people for their contribution in the field of social-forestation. Jalpaiguri, 31 May : Forest rangers in West Bengal’s Jalpaiguri District have rescued an elephant that had fallen into a ditch. The elephant was passing through this route when it slipped and fell into the ditch. Some of the tea garden workers saw it lying there and informed the forest officials. Later, the forest officials rushed to the spot with a crane and rescued the majestic elephant, believed to be around 11 years in age. The pachyderm was gently hauled up by the crane. After being pulled out of the ditch, the elephant instantly was up on its feet and without wasting a second fled from the spot towards the nearby forest. “Now, it is healthy. We are feeling very nice. 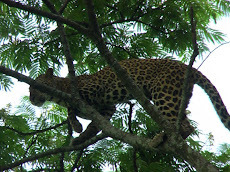 We have been able to save a beautiful animal,” said Niranjita Maitra, Assistant Wildlife Warden, Jalpaiguri Range. 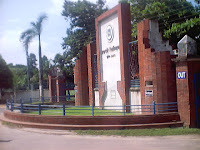 Rajshahi, 31 May : Classes resume at Rajshahi University on tomorrow, 82 days after fierce clashes between Chhatra League and Chhatra Shibir in March left Shibir's RU unit general secretary Sharifuzzaman Nomani dead, scores injured and forced the university to close its doors sine die. The university's 16 residential halls reopened on Saturday, with RU vice chancellor Prof Abdus Sobhan asking all students to attend classes regularly to make up losses incurred because of long closure since 13 March. He also urged all teachers to ensure examinations are held on schedule. Proctor of Syed Amir Ali Hall, Dr Saiful Islam, told reporters about a third of the students had returned to halls by Sunday afternoon. "The students may register back with the halls any time between 6am and 10pm with necessary information including their names, department and cellphone numbers," said Islam. 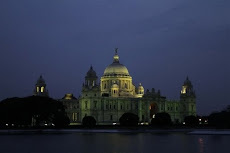 Kolkata, 31 May : Metro services in Kolkata will be linked to the airport, but not the existing North-South section. The Japan Bank of International Cooperation (JBIC) has approved the airport link for the upcoming East-West Metro project, entailing an estimated cost of Rs 800 crore. The elevated arm that would run along the Bagjola canal will go underground from near the airport hotel and terminate just below the integrated terminal building. People travelling by Metro would need to take the escalator to reach the security-check zone on the surface. 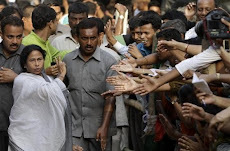 Kolkata, 30 May : The West Bengal government on Saturday said it was justified in seeking Rs 1,000 crore as aid to the state for the massive destruction caused by cyclone Aila. 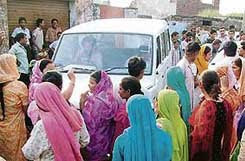 "Aila which hit the state on 25 May had left a massive trail of destruction. As many as 7.5 lakh houses were destroyed. Nearly 800 irrigation embankments needed to be repaired. 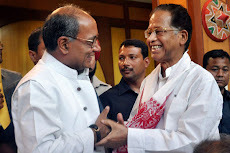 The funds available with the state government were grossly inadequate to cope up with the situation," Finance minister Asim Dasgupta told reporters. The relief corpus lying with the state government was a mere Rs 210 crore, which would go up to Rs 450 crore after a fresh bout of contributions by the state and the Centre. However, this amount is not sufficient to provide relief to the victims, he said. 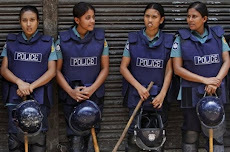 Dhaka, 30 May : A Dhaka court on Saturday gave police eight days to grill Indian fugitive Abdur Rauf Merchant and two associates arrested this week by Dhaka Metropolitan Police's Detective Branch. Police escorted the three in handcuffs into the chief metropolitan magistrates court at around quarter to the four in the afternoon. They emerged after the ruling just ten minutes later to be taken away in a white microbus. No lawyer was present on behalf of Merchant or the two others during the remand hearing. 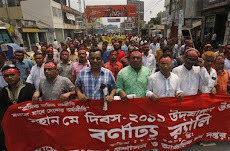 Investigation officer Ashraf Hossain in his remand petition said police needed ten days to grill Merchant on plans for criminal activities in Bangladesh. 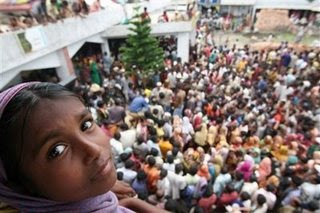 < A girl looks on, as crowd to receive relief material at the cyclone affected village of Nowabanki in Shatkhira. Dhaka, 30 May : Over one and half lakh dwelling houses have been totally damaged by the onslaught of the cyclone Aila in Bagerhat, Borguna, Khulna and Satkhira districts. Several lakhs of people, virtually homeless, are reportedly staying on high roads, dams, cyclone centres, boats in the affected areas. In Bagerhat, 2,403 houses were totally and 39,600 houses 1,247 houses were damaged in Mongla, 750 in Sharankhola and 406 in Sadar Upazila. 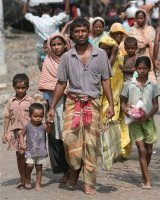 As many as 3,920 families have lost their houses Barguna. A total of 19,658 houses were partly damaged while 262 educational institutes-24 totally and 238 partially-were damaged, district control room reported. About one lakh houses were damaged in the onslaught of the cyclone and tidal bore in Khulna. 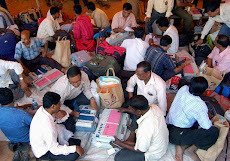 Over five lakh people have taken shelter on the cyclone centres, boats and dams. Additional deputy commissioner Md Maojjam Hossain said 94,858 houses were washed away by the cyclone and tidal surge. In Satkhira, 1,15,729 houses were totally damaged and 26,055 houses partially damaged in seven Upazilas during the cyclone, the district relief and rehabilitation centre said. < Indian Border Security Force (BSF) soldiers distribute bottles of water to people in the cyclone-hit area of Monipur village in the Sundarbans delta. 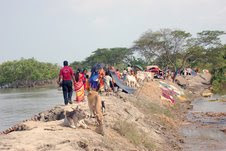 Gosaba (South 24 Parganas), 30 May : People in Sunderbans have no access to any relief material even days after Cyclone Aila left a trail of devastation in the region. Two vessels carrying 1,00,000 litres of drinking water and a floating water treatment plant have been left stranded near a bridge at Basanti due to low tide. They were headed to Gosaba block where nearly two lakh residents are reeling under an acute drinking water crisis with 11 of the 13 gram panchayats inundated by saline water. West Bengal's Sunderban Affairs Minister Kanti Ganguly said the vessels are waiting for high tide to resume their journey. 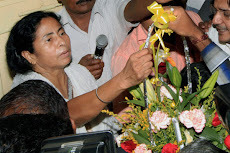 Ganguly said the material to install 30 tubewells in the area have been supplied to the block administration but it will take some more time. 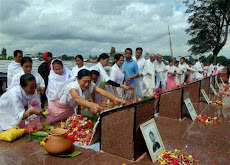 According to Ganguly, Gosaba and Patharpratima blocks were badly affected following the storm and relief materials have not been ferried to the remote areas. He added that the district administration had supplied relief materials to the gram panchayats but the latter had failed to distribute them among the villagers. 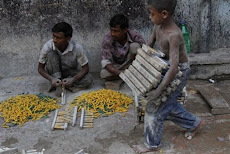 Ganguly admitted that there is a shortage of relief material. 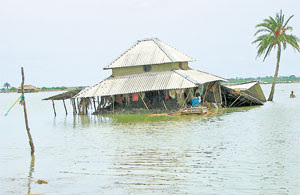 According to the block administration of Gosaba, almost 50,000 huts have been destroyed. 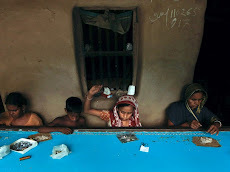 While 50,000 people have taken refuge in relief camps, a similar number are spending their days in temporary shelters on roads. 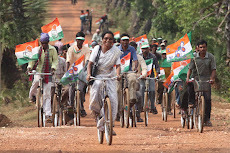 Ganguly said that it was not possible to reconstruct the villages at Gosaba and Patharpratima within a short period. 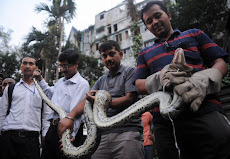 In a related development, the district administration has requested the Kolkata Municipal Corporation (KMC) for assistance to bury the animals that died in the storm. A team of 100 KMC officials will reach Gosaba to bury the animals. If this was not done, water sources in the block would be contaminated resulting in an epidemic. 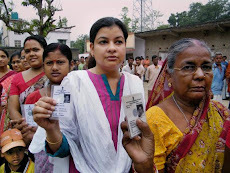 Meanwhile, South 24 Parganas District Magistrate Khalid Ahmed told Bengal Newz, panchayats have been instructed to expedite relief distribution. 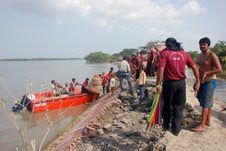 People in Sunderbans have no access to any relief material even days after Cyclone Aila left a trail of devastation in the region. 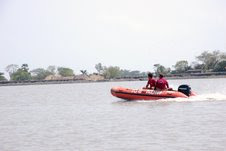 Two vessels of BSF's National Disaster Response Force (106 Battalion) carrying 1,00,000 litres of drinking water and a floating water treatment plant have been left stranded near a bridge at Basanti in South 24 Parganas district due to low tide. 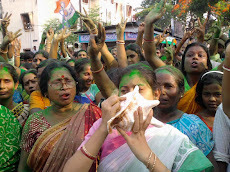 Kolkata, 29 May : It was girl power all the way. 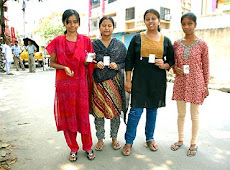 The first three positions in the higher secondary examinations were clinched by three girls from the districts, and three others shared the top score in the CBSE Class X results announced on Friday. 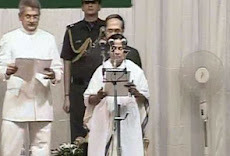 The Madhyamik topper this year, too, is a girl. Madhumita Saha from Balurghat Lalit Mohan Adarsha Vidyalaya is the possible HS topper with a score of 473 out of 500. 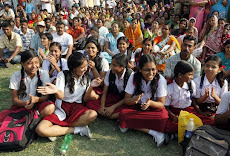 The next two slots were separated by just one mark each Sudipa Mondal from Bankura Mission High School scored 472 and Madhumita’s schoolmate Pompi Saha 471. 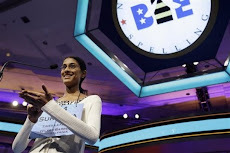 All three HS top-scorers refuse to walk the beaten path engineering and medical and aim to specialize in the pure sciences. 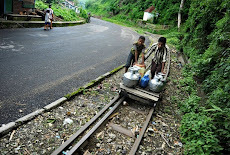 Siliguri, 29 May : Landslides in West Bengal have disrupted the movement of the world famous toy train, which is listed as a UNESCO World Heritage site. 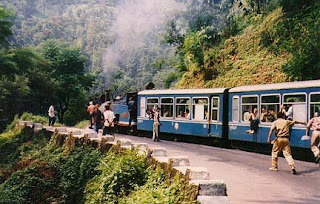 The famous Darjeeling toy train runs between Siliguri and Darjeeling. The train stopped operation from Tuesday as heavy rains and severe landslides washed away a huge portion of the railway track. A huge pile of debris has accumulated on the tracks, halting the operation of the toy train. “In 80 km route from Siliguri junction to Darjeeling, we have got landslides at 41 spots and total amount of muds and boulders is about 3500 cubic metres. We also have tree fallen on tracks at 16 spots. Out of the 16 spots, two spots are very heavy because very big tree trunk has fallen on track. We have got one location near Ghum where a portion of our track is washed away in between two buildings,” said Subrata Nath, director, Darjeeling Himalayan Railways (DHR). The DHR is trying hard to resume the journey at the earliest, but the service is expected to resume not earlier than seven to ten days. 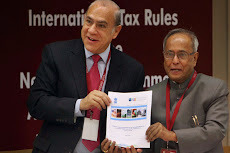 DHR was declared a World Heritage Site by the UNESCO on 5 December at their 23rd session. 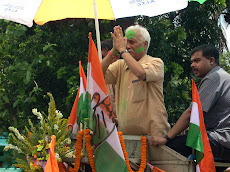 New Delhi, 29 May : Rural Development minister C P Joshi has ordered the grant of Rs 10 crore towards relief work for cyclone-hit people in West Bengal. Rural Development ministry sources said here that the minister ordered the release of the funds from the department of drinking water supply. "The decision to grant funds was taken soon after the minister assumed office, considering the plight of cyclone victims," sources added. 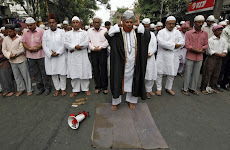 Dhaka, 29 May : Police in Bangladesh have arrested Indian fugitive Abdur Rouf Merchant, also known as Daud Merchant, convicted of the murder of Mumbai music magnate Gulshan Kumar, officials said. 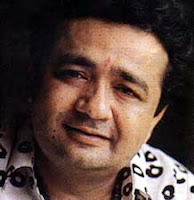 Gulshan Kumar, renowned owner of Indian music company T-series, was shot dead on the streets of Mumbai on 12 August,1997, believed to have been murdered by contract after refusing to pay extortion money to gangsters. 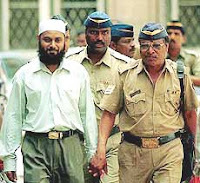 Merchant, who was serving his sentence in an Indian jail since 2002, was reported absconding by Indian police after being released on furlough in April to visit his family in Mumbra, a small town about 40km from Mumbai. Bangladesh's Detective Branch police picked Merchant up on Tuesday night from the residence of a man named Kamal Miah in Mourail in Bramhanbaria district. 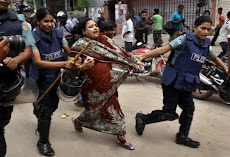 Dhaka Metropolitan Police have made no official statement but an assistant commissioner of the DMP's Detective Branch confirmed the arrest. Bramhanbaria police super Mukhlesur Rahman told reporters, quoting Detective Branch officials, that Merchant had recently arrived in the district after crossing illegally into Bangladesh through the Akhaura border. 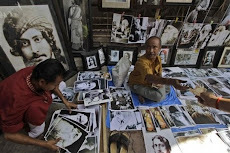 Rahman said he had also procured a Bangladeshi passport in the mean time in order to pass himself off as a local. Bagerhat, 29 May : Bangladesh Water Resources Minister Ramesh Chandra Sen said that repair on cross dams, affected by cyclone Aila in the southern region, would begin soon. Already the officials concerned have been asked to prepare a list of affected. Kolkata, 29 May : Continuing his association with the Grand Slams, Kolkata's Abhishek Mukherjee will officiate at the Wimbledon and the US Open this year. Regular in officiating at the Grand Slam level for the past five years, Mukherjee will be the only official from India, a Bengal Tennis Association (BTA) release said. Barrckpore Air Base, 28 May : Helicopters of the Indian Air Force (IAF) carried out relief operation sorties in the cyclone hit areas of North 24 Parganas and South 24 Parganas districts in West Bengal. The IAF helicopters dropped relief materials in the areas like Hingalganj, Sandeshkhali of North 24 Parganas district and in Basanti, Gosaba of South 24 Parganas district which is quite close to the India-Bangladesh border. 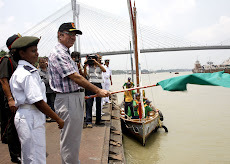 Dhaka, 28 May : Travel between Dhaka and Kolkata by ship, something that stopped over four decades back, may be revived to promote people-to-people contact and eco-tourism. 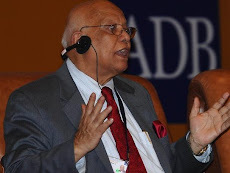 Bangladesh Shipping Minister Afsarul Amin yesterday commended a proposal mooted by the parliament’s standing committee. Dhaka and Kolkata now have daily passenger service by air and road, and four train services a week. But, there is no passenger service on the once-thriving river routes. 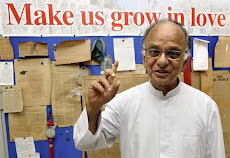 “We have a few vessels made during the British Raj and they are still in service. These vessels could carry tourists across the border,” Chowdhury suggested. The passengers could enjoy the beauty of Sundarbans, the home of the famed Royal Bengal Tiger, said the parliamentarian. 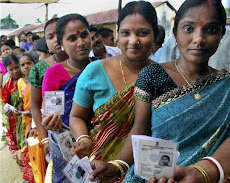 Agartala, 28 May : Over 82 percent of the 29,705 electorate cast their votes Thursday in the politically important by-election to the Town Bordowali assembly constituency in Tripura, officials here said. 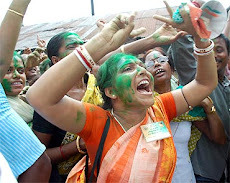 "The polling, which began at 7 a.m. and ended at 4 p.m., was peaceful," said Dulal Das, returning officer of the Town Bordowali constituency, which comprises parts of capital city Agartala and its adjacent areas. The counting will be held Monday. 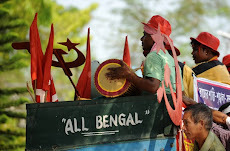 Midnapore, 28 May : CPI(M) so-called strongmen from Garbeta Tapan Ghosh and Sukur Ali accused of masterminding the 2001 Chhoto Angaria massacre have been acquitted for lack of evidence. 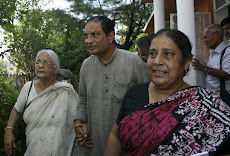 Judge Shyamal Sengupta announced their acquittal on Thursday, noting that CBI had failed to produce any evidence or witnesses against them. CBI officers admitted that it was a major setback to the case. Tapan and Sukur had played a key role in turning most witnesses hostile, said an officer. 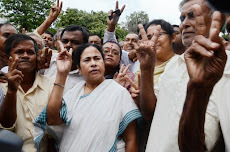 CBI lawyer Tapas Basu said they would move Kolkata High Court. 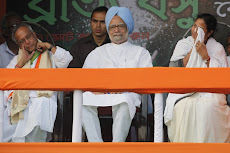 The duo's counsel, Amitava Mukherjee, said CBI could not frame charges against them because they were innocent. Three of the 35 witnesses have died and two are missing. Eighteen witnesses have turned hostile. 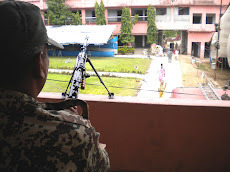 Khasiamangal, 28 May : A top militant leader of the banned All Tripura Tiger Force (ATTF) laid down his arms before the Border Security Force (BSF) on Thursday here. Sailendra Debbarma alias Judhiya decamped from a base at Niralapunji, which is under the jurisdiction of the Srimangal police station in Moulavibazar of Bangladesh and deposited an AK-47 rifle, a 9mm pistol, four magazines and more than 100 live cartridges with BSF DIG S S Chaatrath. 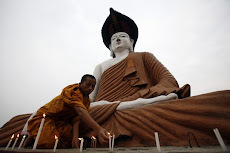 He informed that they had initially joined militancy to fight for a separate tribal homeland, but on realizing that it is baseless, they decided to return to the main stream. 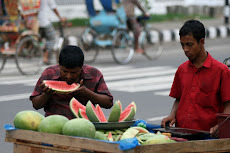 Muzaffarpur (Bihar), 28 May : Shahi litchi, a popular summer fruit largely grown in Bihar’s Muzaffarpur district, is set to hit markets across India in the third week of May. 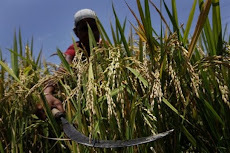 These areas struggled against extreme hot weather with almost no rainfall in the prominent litchi growing states of Bihar, Uttarakhand and Himachal Pradesh. 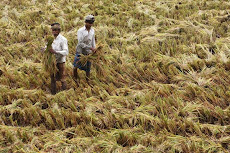 If rains do not bless Bihar by this week, then the production there is likely to fall by 50%. Last 2-3 years have seen a fall in litchi production due to unsuitable weather conditions. 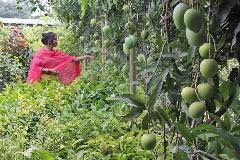 However, the fruit has already hit the market, with the arrival of West Bengal’s “Bambaiya” variety. 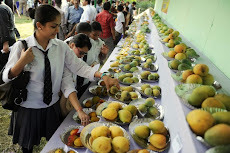 The popular “Sahi Litchi” variety from Bihar’s Muzzaffarpur will arrive by the third week of May and would be followed by Uttarakhand and Himachal varieties. Apart from these areas that cover around 7,000 hectares, this juicy fruit is also grown in Tripura, Assam, Orissa and Jharkhand. 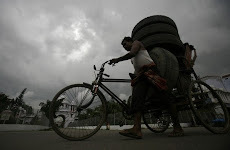 Dhaka, Kolkata, 27 May : The death toll from Cyclone Aila rose to 121 in Bangladesh as thousands of people in coastal areas of the Bay of Bengal in both Bangladesh and West Bengal were marooned. The storm that ripped through the south-western coast Monday has left at least 32 people dead in Satkhira, 25 in Noakhali, 20 in Khulna, 13 in Bhola, nine in Barisal, seven in Patuakhali, six in Laxmipur, two each in Bagerhat and Cox's Bazar, and one in Magura, according to reports from the affected areas. Besides, two people in Chapainawabganj and one each in Natore and Lalmonirhat are among the cyclone fatalities, United News of Bangladesh (UNB) news agency said. The food and disaster management ministry, however, put the body count at 91, The Daily Star said on Wednesday. 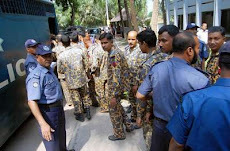 BBC News, Dhaka, 27 May : The ferocity of the mutiny took many Bangladeshis by surprise An official inquiry into a mutiny by Bangladeshi border guards in February has attributed it to years of pent-up anger over ignored pleas for pay rises. Siliguri, Kolkata, 27 May : Death toll in landslides today mounted to 21 with recovery of five more bodies from the debris by army rescuers in Darjeeling where the hill areas remained cut off from the plains for the second day. 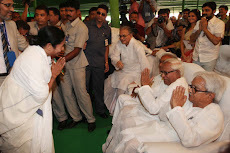 "I have asked Home Secretary Ardhendu Sen to rush to Darjeeling tomorrow to monitor the situation and speed up relief and rescue operations," WB Chief Minister Buddhadeb Bhattacharjee told reporters. 16 bodies were recovered on Tuesday. "A special fund has been released to the district administration, and two teams of BSF's National Disaster Management force rushed to Darjeeling today," the Chief Minister said. Darjeeling, he said, remained cut off from Siliguri in the plains for the second day as all roads were blocked by landslides. 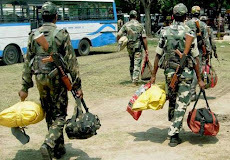 Personnel of the 123 Mountain Brigade who began rescue operations last evening scoured the landslide-affected areas and recovered the bodies, Additional District Magistrate (General) P Zimba told Bengal Newz. Electricity was partially restored and there was no immediate shortage of relief materials, the ADM said. 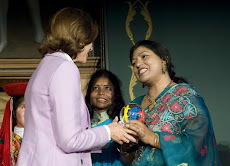 Dhaka, 27 May : The European Union has voiced support for the trial of war crimes perpetrated during Bangladesh's Liberation War and urged the concerned authorities to carry out the trials process to international standards, the Sector Commanders Forum said in a statement on Wednesday. The EU expressed the view during a meeting of its ambassadors and senior diplomats based in Bangladesh with SCF leaders in Dhaka on Tuesday. The meeting held a detailed discussion on relevant trial issues, particularly on the international Crimes (Tribunals) Act 1973. 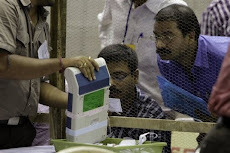 PTI, New Delhi, 27 May : The poll debacle seems to have heightened the differences between the two leading Left parties. 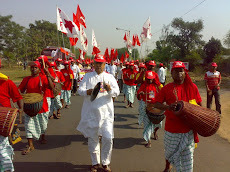 After the CPI national executive last week asked the ‘big brother’ CPI(M) to eschew arrogance, CPI leaders now say that West Bengal chief minister Buddhadeb Bhattacharjee should be replaced before the next assembly election in 2011. 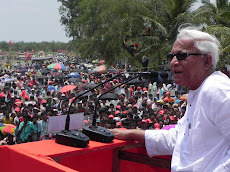 A senior CPI leader told PTI, "Bhattacharjee should not be the face of Left in the next elections." 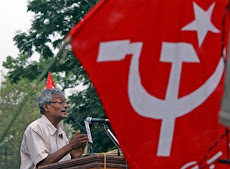 Though he said the final decision on retaining or replacing him would be taken by the CPI(M) alone, the CPI leader said the land acquisition policy has become a bane of the Left Front government. 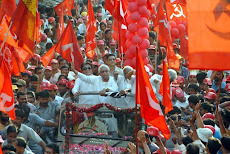 The CPI leader gave the example of how old automobile companies in West Bengal have been operating out of few hundred acres. "Nearly 1,000 acres for Nano was not needed. The state government can easily return 400 acres," he said. 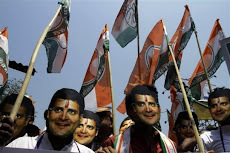 Port Blair, 27 May : Fourteen senior Congress leaders of Andaman and Nicobar Islands were suspended for alleged anti-party activities during the Lok Sabha polls. 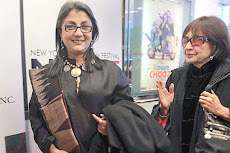 Party sources said it was found that main reasons for the defeat of Congress candidate were "indiscipline and anti-party activities" of some leaders. 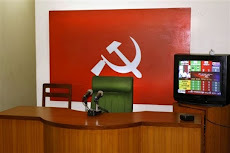 The leaders were suspended on Saturday in a meeting chaired by Andaman Nicobar Territorial Congress Committee (ANTCC) president Kuldeep Rai Sharma, who lost to BJP's Bishnu Pada Ray in the lone Andaman and Nicobar Lok Sabha seat this time. According to the party sources all the suspended Congress leaders were close to former MP Manoranjan Bhakta. 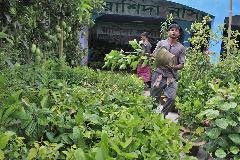 Kolkata, Canning, 27 May : The cyclone Aila has left more than 24,000 people homeless in the Sunderbans on Monday. 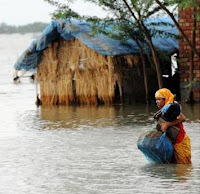 The most affected islands are Dayapur, Jamespur, Annpore and Lahiripur, lying close to the Sajnekhali forest in the Sunderbans. 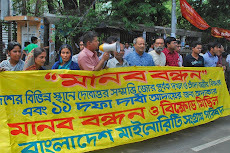 Animesh Sinha, who runs an NGO, Sunderbans Environment and Ecological Development Society, said his office opposite the Sajnekhali forest office, had been inundated on Sunday night. 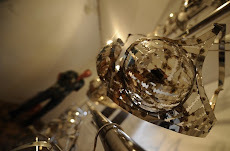 "There was inside the room was around six feet deep. The worse is yet to come," he said. The high tide had left most of the villages inundated. The force of the gushing water was so high in the morning that most of the mud and bamboo walls collapsed. 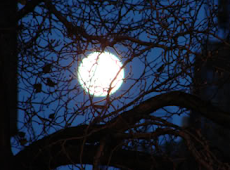 "Only the tall trees could be seen, everything else was under water. 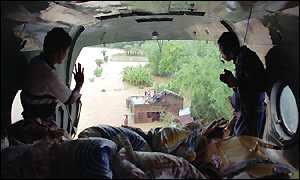 The embankment has broken at three places, leaving the villages exposed to the river," said Sinha. The Sunderbans Tiger Reserve field director, Subrata Mukherjee, said most of the camps in the forests were inundated after the heavy rainfall that followed the cyclone. "Boats have sunk. 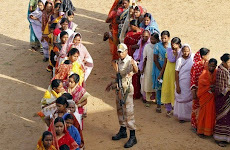 We have taken the help of BSF at some places. Control rooms have been set up at Canning and Gosaba. We have also asked some NGOs to provide relief to the people." 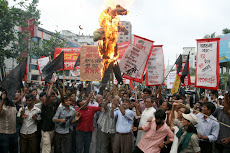 Savar, 27 May : Agitated workers set fire to a readymade garments factory at Savar on Wednesday, said officials and witnesses. At around 11am(BDST), workers of the garment house Mohammadia Fashion 2000 torched its three storey factory in Hemayetpur. By 1pm(BDST), the whole factory was afire. Fire workers and locals were working to douse the blaze as RAB and police also joined them. 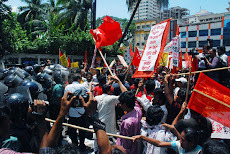 Workers alleged that they had torched the factory protesting the owners' non-payment of salaries and overtime allowances due for a month. The Hemayetpur-Shingair road remained blocked up to late afternoon. 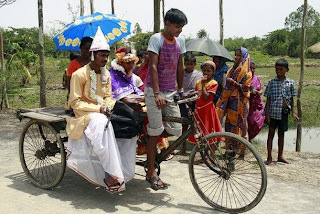 Newly married couple Prakash (L) and Sumita travel on a rickshaw at Patharpatima Island in the Sundarbans delta. Sumita and Prakash married on Monday night while cyclone hit Patharpatima Island. 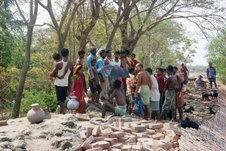 Nearly 120 people have been killed by a cyclone that ripped through Bangladesh and West Bengal including the Sundarbans, which is home to the world's largest tiger reserve, 24 Parganas DM Dr Khalil Ahmed told Bengal Newz on Tuesday, while millions remained marooned by floodwaters or living in shelters. 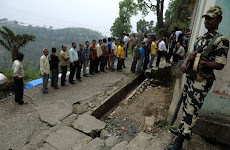 Sliguri, 26 May : At least 12 people were killed and 21 injured following a huge landslides Tuesday at Ghoom in West Bengal's hill district Darjeeling, police said. "At least 12 people died and 21 were injured in landslides across Darjeeling district. 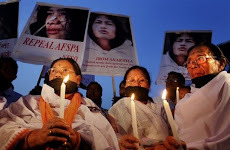 We've also got reports that six people are missing," Darjeeling additional superintendent of police Akhilesh Yadav said. He said the army has been called in to carry out rescue operations in different parts of the hills. 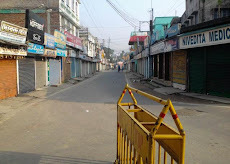 "Roads at Mirik, Sonada, Rohini and Pankhabari Road are closed," District Magistrate, Darjeeling, Surendra Gupta told Bengal Newz. 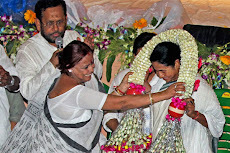 Announced Howrah-Digha Kandari Express on the occasion of the birth anniversary of Kazi Nazrul Islam Kolkata, 26 May : In a break from tradition, Mamata Banerjee today took over as Railway Minister here instead of in Delhi and announced special monthly passes at Rs 20 for those with monthly income below Rs 500, besides a new train for West Bengal. "For the poor, we are announcing special monthly railway passes. 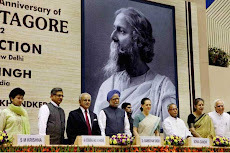 The Railways wants to give them the economic freedom to travel by rail, especially those in the unorganised sector who have to come every day from their villages to the city," Banerjee said at the Eastern Railway headquarters here. 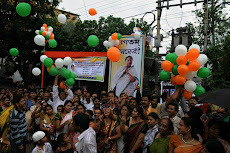 Banerjee also announced introduction of the Howrah-Digha Kandari Express on the occasion of the birth anniversary of rebel poet Kazi Nazrul Islam. The express will run seven days a week. 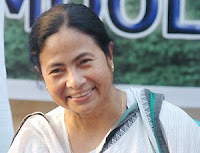 Mamata, who was slated to assume office in Delhi today, decided to stay back saying she had to help people affected by the cyclone. 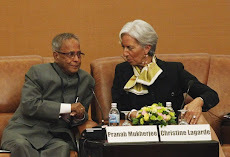 New Delhi, 26 May : Indian Finance Minister Pranab Mukherjee on Tuesday said that budget for 2009-10 that will spell out policies and priorities of the new UPA government will be presented in the first week of July. 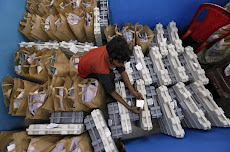 "I would not like to have a second batch of vote on account... 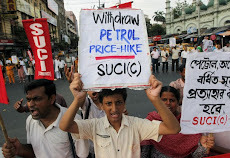 The Budget will be presented in the first week of July," he told CNBC-TV18 in an interview. The minister further said that the issues and concerns about the economy raised by him in the interim budget, especially with regard to the sectors which are hit badly by the global financial crisis, would be addressed in the budget. 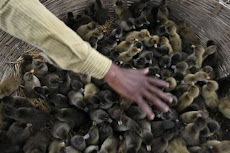 < People make their way from the flooded village of Minakhan in south 24 Parganas district. 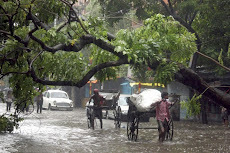 Kolkata, Dhaka, 26 May : The death toll due to Monday's havoc caused by cyclone 'Aila' in West Bengal rose to 45 today. 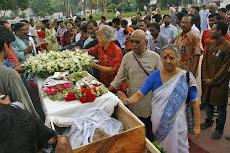 And in Bangladeash the death count from 'Aila' that flung itself to the exposal coastline on Monday has reached 103 with more than 100 missing until Tuesday evening. 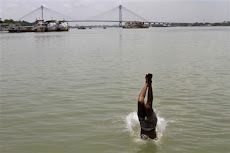 In West Bengal, the highest number of 20 deaths occurred in South 24 Parganas district followed by eight in North 24 Parganas, six each in Kolkata and Howrah, three in Birbhum and one each in Bankura and Malda, official sources said. Two columns of army, one each in Sandeshkhali and Kultali of North and South 24 Parganas districts respectively, were carrying out rescue and relief operations, defence spokesman Wing Commander Mahesh Upasani said. Six more army columns were on standby, he said. Two MI-17 helicopters were air-dropping food packets in the two worst hit areas in the two districts, he said. 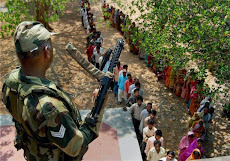 The army would also take up operations in Hingalganj in North 24 Parganas and Gosaba, Patharpratima and Sagardwip areas in South 24 Parganas. In Bangladesh twenty-seven people died in Khulna, 30 in Satkhira, 10 in Bhola, nine in Barisal, nine in Patuakhali, four in Narshingdi, 24 in Noakhali, seven in Laxmipur, two each in Chapainawabganj, Cox's Bazar, Rajshahi and Naogaon, and one each in Magura and Rangpur. Brahmanbaria, 26 May : Six of the eight units of Ashuganj thermo-electric power station has been shut down by the authorities on Tuesday morning due to cyclone Aila. The shutdown caused a 428 megawatt supply dearth in the national grid. "Electric wires and poles were damaged in different districts by cyclone Aila. Electricity cannot be supplied unless those are repaired, Besides, the demand for electricity went down because of rain." 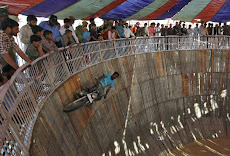 the managing director of the station, Abdul Khaleq, told reporters. 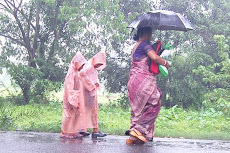 Guwahati, 26 May : The Indian North East states experienced heavy to very heavy rainfall since yesterday under the influence of cyclonic storm ‘Aila’, with the onset of monsoon further leading to the incessant downpour. 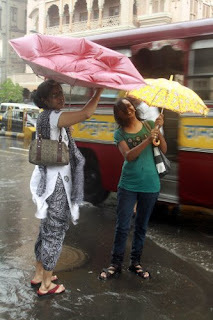 The NE states, which had mostly recorded deficit rainfall this season, had been receiving incessant rains since yesterday, coupled with squally gusty winds at about 50-60 kmph. Cherrapunjee in Meghalaya recorded the highest downpour in the last 24 hours with 213.4 mm rainfall so far, Meteorological department sources informed. 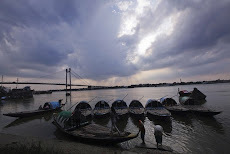 Kolkata, 26 May : The cyclonic storm that lashed West Bengal on Monday has hit cargo operations at Kolkata and Haldia ports, while unloading of two crude oil vessels was stopped at another port, government officials told today. 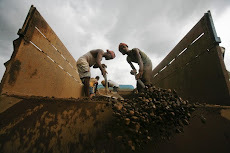 The ports handle imports of sugar, crude oil, vegetable oils, coal, cooking gas and other commodities, while exports from these ports include iron ore, tea, steel and jute. It was not clear which commodities were affected by the storm. "As many as 27 ships are at these two docks and cargo handling has been affected," said Rajeev Dube, deputy chairman of the Kolkata Port Trust. 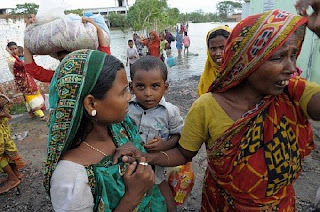 Kolkata, 25 May : Atleast 29 people have died and more than 100,000 were rendered homeless as Cyclone Aila struck the West Bengal on Monday evening, the state's disaster management minister Mortaza Hossain told BBC. He said the death toll could rise. 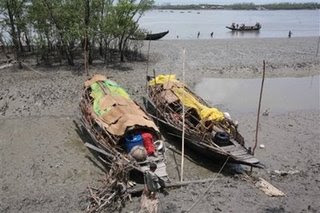 Twelve people died in the South 24-Pargana district that straddles the Sundarbans delta, mostly when the cyclone flattened their mudhouses. Six people died in Kolkata when huge trees uprooted by the cyclone fell on buses, cars and auto-rickshaws. The rest of the casualties were reported from Howrah(3 killed), Hooghly(4), North 24 Parganas(1) and East Midnapore(1). 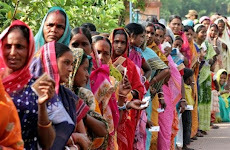 One each died in Nadia and Bankura. 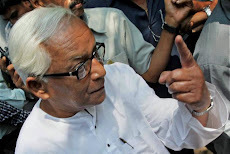 WB's Chief minister Buddhadeb Bhattacharjee said he had alerted the army, while BSF and police have begun rescue operations in Sunderbans in coastal South 24 Parganas district where hundreds of thatched houses had collapsed. 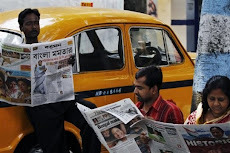 Kolkata police chief Gautam Moham Chakrabarty who had asked schools to send home all students just after midday said tree-cutting teams from the city corporation have fanned out across Kolkata to clear roads blocked by uprooted trees. Massive tidal waves ravaged scores of coastal villages and the seaside resorts of Digha, Mandarmoni and Kanthi throughout the day. Fishermen were told to stay away from the sea but some were reported missing. 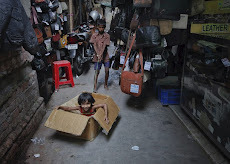 Dhaka, 25 May : At least 11 people, mostly children, were killed today as cyclone "Aila", packing windspeed of up to 100 kilometres per hour, slammed into the southern coastlines of Bangladesh bursting embankments, levelling houses and flooding low-lying localities. 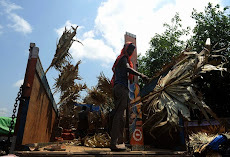 The Met office said the main brunt of the cyclone spared Bangladesh as West Bengal suffered the storm fury but at least five deaths were caused alone in the coastal Bhola district, which appeared to be the worst-affected area according to initial reports. "The cyclone crossed the coastline after the evening," a Met office spokesman said. Five deaths were reported from Bhola, three from Noakhali, one from Barisal, one from Jhalkathi and one from Patuakhali, with most of the victims being children. 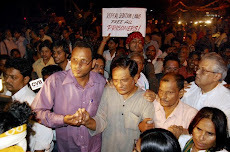 IANS, New Delhi, 25 May : The Supreme Court on Monday granted bail to civil rights activist Dr Binayak Sen, who has been lodged in a Raipur jail for over two years under unproven charges of links with Naxalites in Chhattisgarh. He has been given bail on a personal bond in a hearing that lasted just one minute. Former Indian law minister Shanti Bhushan, appearing for Sen, had earlier pleaded to the court to accord an urgent hearing to Sen's bail plea in view of his precarious health condition, according to IANS. Kolkata, 25 May : All flights from the city were temporarily suspended on Monday at the NSC Bose International Airport here as a severe storm with a wind speed of 80 km per hour hit the city, airport sources said. The sources also said all incoming flights including domestic and international ones are being diverted to different routes since 2 pm as low visibility at the runway is making it difficult for planes to land and take off. 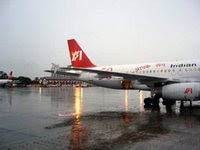 A total of seven incoming domestic flights have either been sent back to their place of origin or have been diverted to other airports of Aizawl, New Delhi and Mumbai, they said, adding that international flights like those from Bangkok and Dhaka were also diverted. The main runway, which was shut down for repairs, was also put to use as the situation worsened since morning. 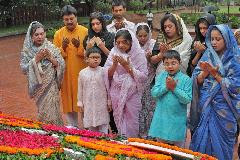 Family members of Bangladesh's national poet Kazi Nazrul Islam place floral wreaths at his grave on his 110th birth anniversary on Monday. 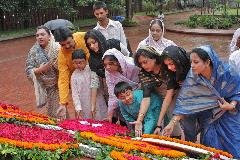 Braving a drizzle, people from across the social spectrum thronged the poet's grave at the Dhaka University mosque premises early in the morning. 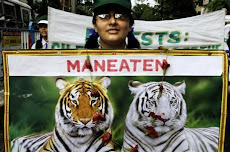 Xinhua, Dhaka, 25 May : Thirty six people were killed by tigers in the world's largest mangrove forest Sundarbans in southwestern Bangladesh during the first four months of this year. These victims were poor people living around the Sundarbans and they fell prey to tigers when they went to deep forest to collect honey, wood, and went for fishing in the rivers. Dilip Kumar Bowmik, chief executive of the Shamnagar sub- district in southwestern Satkhira district of Bangladesh in a cell phone interview with Xinhua said yesterday. 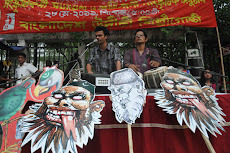 Bowmik said at least 100 people are killed by tigers in the Sundarbans annually. 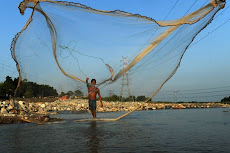 Bowmik thought the residents living around Sundarbans should be taken to other profession reducing their dependence on the largest mangrove forest. 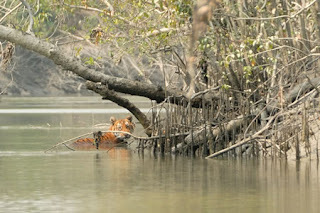 "If their dependence on the Sundarbans is reduced, the tigers will also be safe," Bowmik said. For safety, villagers usually kill tigers wandering too close to their villages and experts estimate that over a dozen tigers are killed annually by villagers in Bangladesh every year. 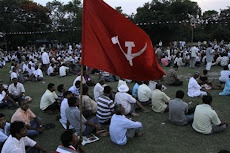 Nandigram, 25 May : A CPI(M) supporter was severely beaten up allegedly by Trinamool Congress activists in a dispute at Satengabari in Nandigram, police said on Monday. 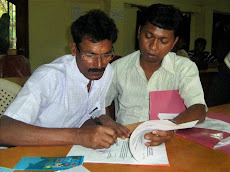 "Santosh Barman was beaten up when they gathered in the village to solve a family dispute last evening. 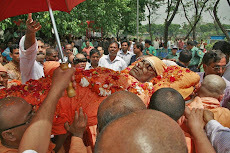 He has been admitted to a hospital in Kolkata in a serious condition," Superintendent of Police, East Midnapore district, Pallab Kanti Ghosh told Bengal Newz.